You see the net effect here? 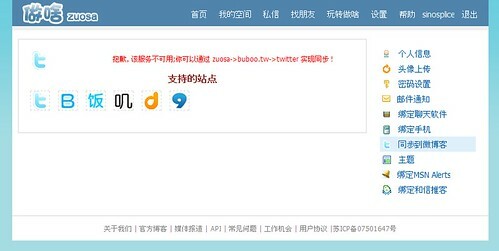 Sinocism is serving as an invaluable information hub, but it’s not getting credit for the major role it’s playing in the dissemination of China-related news. And the worst part is that the Sinocism readers aren’t doing it on purpose; they’re just using their social media like they always do, but the way the system is set up, Sinocism gets no credit. I’m pretty sure I saw an example of this last week. There was a great article about Chinese surnames‘ geographical distribution in China that got a fair amount of attention: Mapping China’s Surnames 制图 “老百姓”. I admit, I tweeted it too, the “bad” way. I then saw lots of people I know on Twitter and Facebook sharing it, no credit. I strongly suspect Sinocism set off the rash of shares (but wasn’t credited). Comments welcome! I’ve also asked Bill Bishop for comment. Please also support the Sinocism China Newsletter however you can; it’s a great service. > Another problem with going to the country to learn the language is that by design, just as your skill is peaking, it’s time to leave. I can attest to that. It’s one of the big reasons I never left China. I once did have a plan to stay in various countries for relatively short periods of time, just long enough to gain fluency. It does make me wonder… who is heartless enough to leapfrog across the globe, mastering one language after another, gaining precious insight into those cultures, only to leave each one behind?